The clipboard holds data you copy and paste. 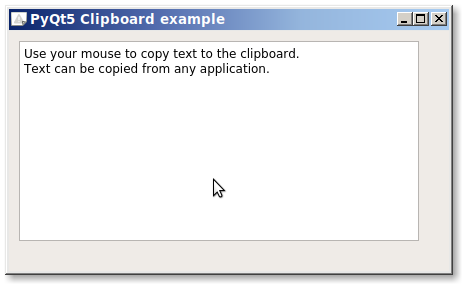 You can copy text from one program to another, like copying text from a website into notepad. We will create a program that has access to the clipboard using PyQt. If we copy text from any program, it will be added into the textarea of the PyQt application. # output is shown in the console.